Our Warehouse Sale is back! After a hiatus of a couple of years, and due to popular demand, we’ve brought this event back to life to help you save big on all things tuxedos, suits, and menswear! Major savings on previously rented items to help make room for new styles for 2017. 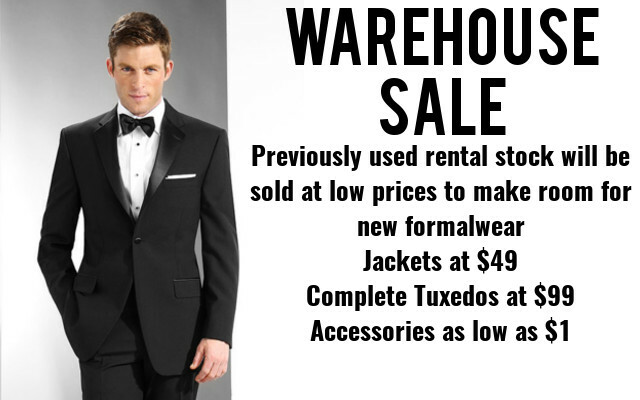 New tuxedos and accessories are available at huge discounts. Whether you’re looking for bits and pieces, or a complete ensemble, you’re in for some savings. Traditional and modern/slim fit styles available to purchase for $49 – $150. Brand new designer tuxedos from After Six, Seven, John Galante, and more. Designer vests, ties, and accessories as low as $50. Shoes starting at $5, a big bowl of assorted pocket squares to match your style that is over 75% of their original prices. Miscellaneous ties, bow ties, gloves, cummerbunds, and other accessories as low as $1! Bands, choirs, barbershop quartets, costume departments, formal wear enthusiasts, now is your chance to save big-time on the many accessories and styles you have been waiting for. We are including additional discounts for group sales, individuals stocking up on extra colors and styles, and everyone in between! Have multiple rehearsals and performances coming up? Lots of black tie functions to attend? Stock up on shirts for over half off! Never be without a back up shirt, no last minute trips to the dry cleaners, no running around frantically the day of a big event just trying to tie up loose ends! 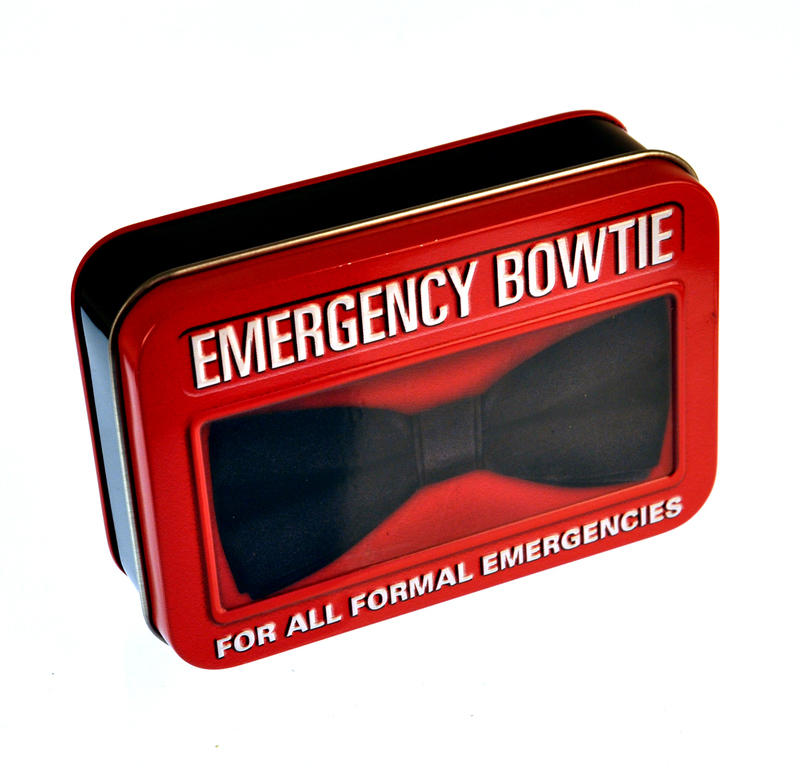 While you are at it, you can stock up on extra bow ties and shirt studs and cuff-links (the two most misplaced and lost items our customers have issues with) so you can always have a emergency formal bow tie on hand! If you’re in the market for a tux, used or new, now is the time to check one out, you won’t find a better quality for a better price!